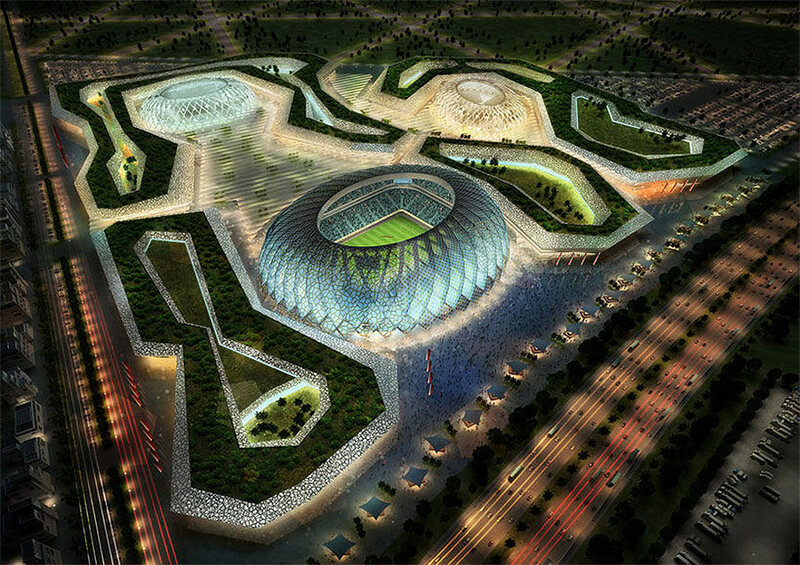 The Arab state of Qatar is in full swing with its plans to host the FIFA World Games 2022. Selected in 2010, it is the first time in the history of FIFA that a Middle Eastern Country has been chosen to host the tournament. Three existing stadiums will be expanded and nine new ultra-modern stadiums will be built, including one designed by Zaha Hadid Architects. The stadiums will reach capacities from approximately 45,000 seats for the group matches, to more than 85,000 seats for the finals. 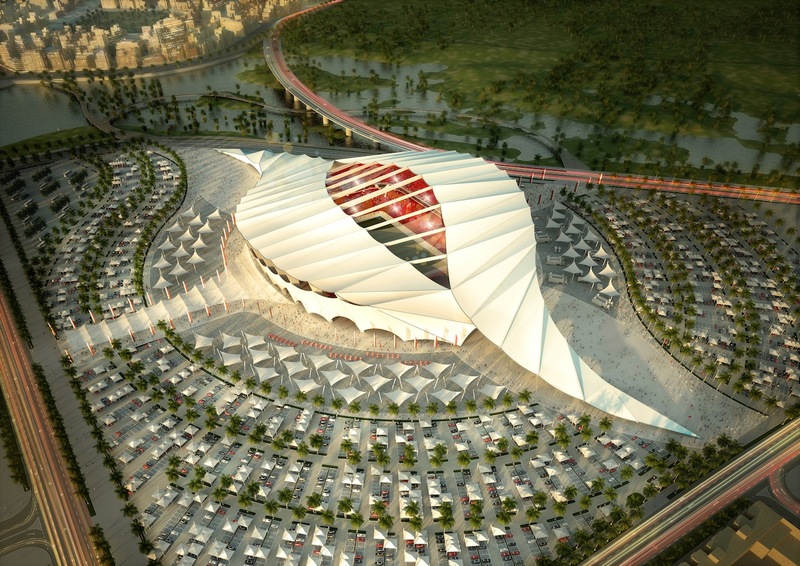 The design vision involves keeping all the stadiums within a one hour drive from the FIFA headquarters, allowing fans to attend more than one game a day. The state has submitted a substantial dossier concerned with all relevant issues ranging from accommodation, transport, security, environment to the stadium infrastructure. Part of the giant venture includes the construction of a a new, 200-mile-long metro system, expected to be completed in 2021. Al Shamal Stadium is one of the proposed stadiums to be completed in 2017. The design of the structure is inspired by the local fishing boats (dhows), commonly used in the Persian Gulf, and will accommodate approximately 45,000 people. 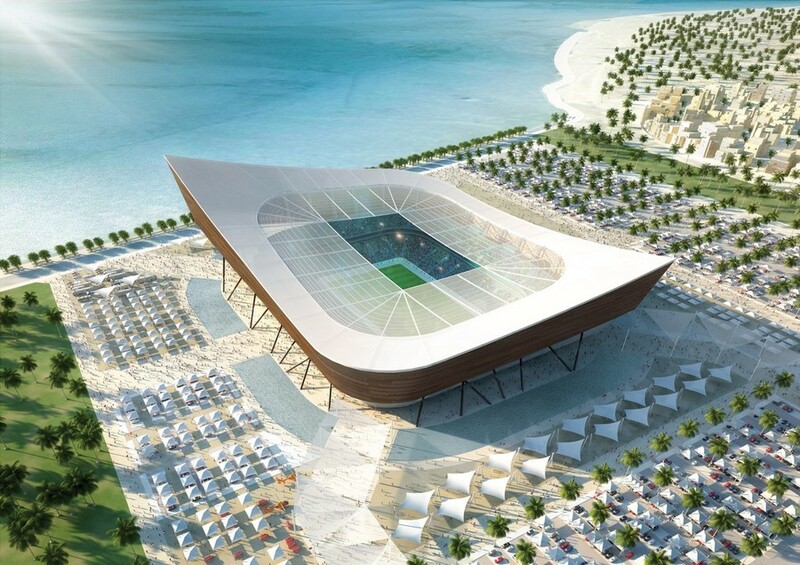 Another proposed venue is the Al Khor Stadium which will take on an asymmetrical seashell form, providing capacity for over 45,000 fans, and an additional 1,000 seats for press.